I keep hearing about “keywords being dead”. Then, the followup to this statement has been to focus on high quality content. Creating high quality content is really nothing new. The cliche “content is king” has been around for as long as I can remember and remains to be true. So, what’s all the chatter about keywords being dead any way? * The death of keywords is an upsetting and disturbing statement to swallow for anybody who has been and is involved in writing SEO web-copy. As a matter of fact, this statement is extremely attention grabbing. It’s possible that is the real function of anybody making that statement. They are trying to get your attention so you will read their article. Personally, I would tone it down a bit and say that keywords are still relevant but only a part of the total metric these days. Keywords are not really dead. It’s how web crawlers are viewing information that has changed. Co-occurrence and co-citation are newly recognized metrics that effect SERPs and therefore how content is being ranked. Co-citation is when brand names or website domains are mentioned across two or more different websites, with out links. When separate websites mention the same brand within a similar topic, this is where the value lies or search rank is gained. The web spider’s intelligence has the ability to make the connection without actual links. This ability enables crawlers to differentiate between contrived links or black hat links and real meaningful content. Thus, once again, the value of creating high quality content. Meaningful, well crafted content will be referenced and even linked to. Linked to? That’s not supposed to matter, well it still does. It’s just not the only factor at play. Or, it’s not as important as it once was. In other words, having a combination of references about brand and inbound links is the most desirable. Co-occurrence refers to similar content occurring on different website across the web. Think of this as topic or keyword(s) association. When a search page is populated it will be organized according to how relevant the search results are to the search query. It’s important for your topic or group of related keywords and synonyms to be relevant among other articles. Essentially becoming a part of the ontology of that subject. Search Engine Watch does a good job of talking about not needing to manipulate content in order to include a keyword rich anchor link. Let me point out that content linking is important and does have significant value. It’s best to make a link when significant relevance is gained. This will involve deep linking, avoid top level linking. The link doesn’t have to be full of keywords; however, the link should have meaning and the associated landing page should definitely speak to the original article. If the link does contain keywords, that’s fine too. As long as the original article and landing page have relevance, that’s the main concern. At the end of the day what’s going to give you the most influence in SERPs is your brand presence and mentions within other articles or blogs. 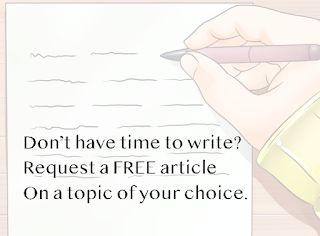 Make a practice of guest blogging and include mentions of your site. Include mentions within social media. Contribute on forums, become an authority on your subject. Real meaningful content about your brand coming from other sources and the original source across the web, including social media and other platforms, is where SEO strength is developing.